WE'RE TIRED OF EMPTY PROMISES! BUSHBUCKRIDGE Municipality in Mpumalanga recently announced their decision to terminate their contract with Rand Water. This is after it was unable to settle its debts and opted to supply residents with water itself. But the residents of Lillydale are frustrated by the move and resorted to taking their complaints to the streets. On Friday they marched to the offices of the municipality to voice their anger. They said they were tired of empty promises by government officials. They claimed that deputy president David Mabuza promised Lillydale residents water and roads during the funeral of late photographer Sam Nzima, but nothing had been done so far. 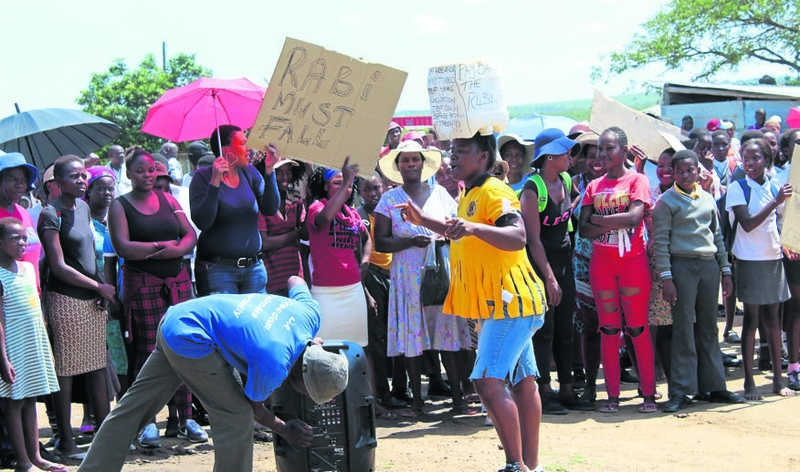 Acting mayor Lindiwe Sithole told protesters that she would direct their memorandum to the department responsible for bringing services to the community of Lillydale.